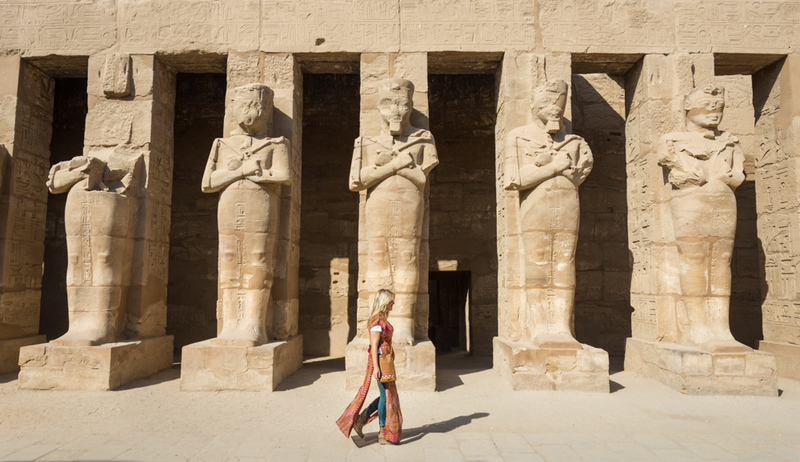 With the spectacular and spiritual Nile River running through the center of what was once known as Thebes, and ancient well-preserved temples sprinkled throughout, it’s no wonder that Luxor is referred to as the “world’s greatest open-air museum”. Thebes was called the City of 100 Gates and during it’s heyday it was renowned for its high social status and was a center for art, religion, and political supremacy. Ancient pharaohs erected temples on the east banks of the Nile to celebrate their triumphs and they built elaborate tombs on the west banks of the Nile to prepare for their deaths. In fact the entire valley is still full of tombs that archaeologists are working hard to uncover to this day. Communities of people are being relocated so that their houses can be demolished and digging underneath can begin. Even important buildings and mosques are being destroyed so that archaeologists can unearth the vast treasures that lie beneath them. 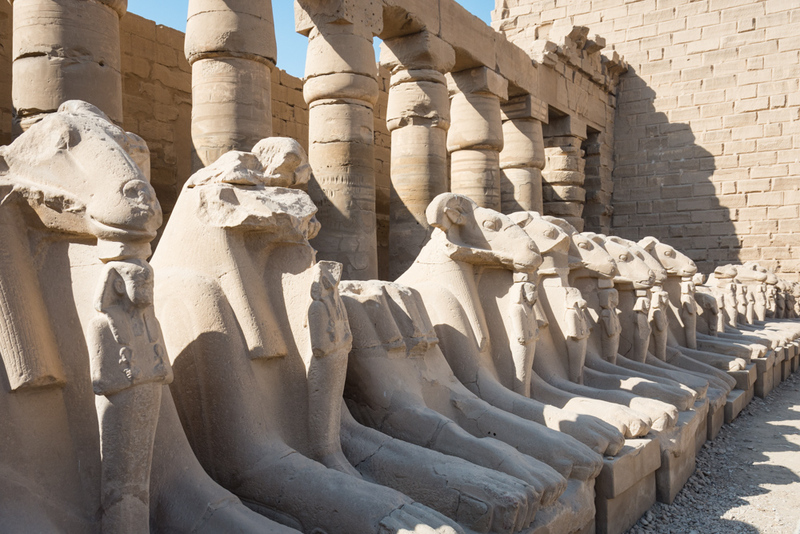 Literally thousands of Sphinxes are in the process of being excavated on the “Avenue of Sphinxes” between the Karnak Temple and the Luxor Temple so this area should look quite different if you return once the 11 million dollar project is complete. Visit Luxor now to witness history in the making! Luxor, as in all of Egypt, has a hot desert climate although the summer days in Luxor can be hotter than other Egyptian cities. Average high temperatures from June through August are above 104°F and average lows remain above 72°F. So if you visit in the summer months, be prepared for sweltering heat. The winter is much more temperate, with average temperatures in the 40-70°F range. Winter is also the peak tourist season in Luxor so expect more crowds. In the summer months the midday sun in Luxor will be unrelenting. Light, breathable attire is a must. The sun sets early in the winter and once the sun goes down temperatures drop significantly. 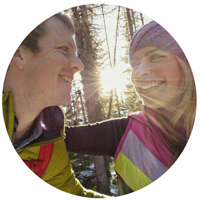 You’ll want a sweater for evening outdoor excursions. Luxor gets less than .04 inches of average annual precipitation so you can leave your rain jacket at home. Check out my list of everything I packed for Egypt here! Luxor is about 430 miles south of Cairo and the famous Pyramids of Giza. Both buses and trains depart daily between Luxor and Cairo with a stop in Giza. Luxor International Airport (LXR) is conveniently located and many major cities around the world offer direct flights. Many people arrive to Luxor or depart from Luxor via luxury cruise ship sailing on the Nile River to and from Aswan. If you haven’t booked a cruise already, read more about our recommended Nile excursion! Egyptians speak Arabic and you should learn a few key phrases to get around! “Al Salam Alaikum” (pronouned sall-em wall-a-come) is a nice way to say “hello”. “Shukran” (pronounced shoo kran) is “thank you”. “Ma’-Elsalama” (pronounced ma sell lem-a) is “goodbye”. And “tip” is “baksheesh” – you’ll hear that word a lot. Be sure to have small change on you for a “baksheesh”. You’ll need to tip your car, boat, and carriage drivers on your daily excursions as well as the bellhops that carry your bags to your room. And it can be really challenging to get (and keep) small change. You will encounter guards at every temple and tomb who are dressed in traditional clothing. They will ask you to take their photo, or try to give you information about the temple, or show you something that you may otherwise miss, and then ask for a baksheesh in return. It can get a little annoying but keep in mind that they only earn about 1,200 LE/month (~$65 USD) so they rely heavily on tips to support their families. Yes! Luxor is incredibly safe for tourists and locals alike. The Hilton Luxor Resort & Spa is the premier luxury hotel along the east bank of the Nile River in Luxor. 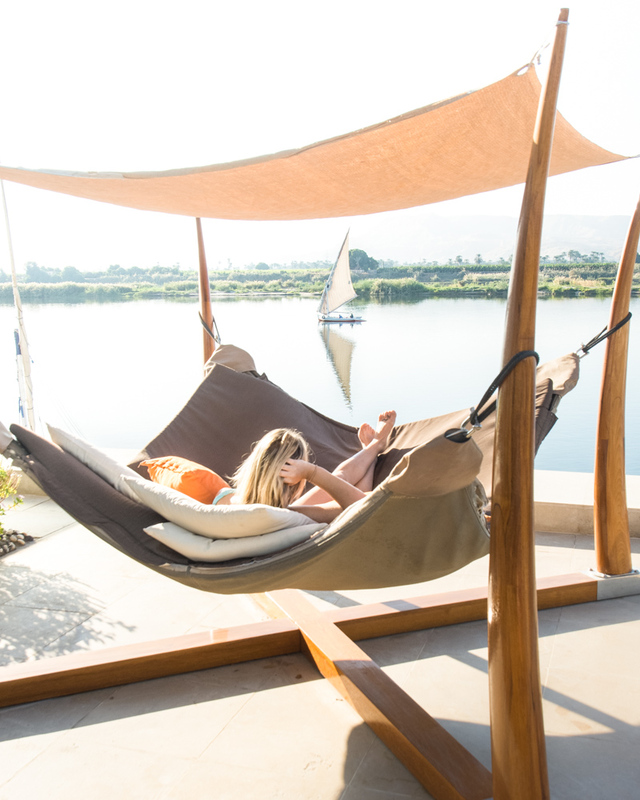 Located in the village of Karnak, just outside of the busy downtown area, the Hilton offers the ability to get away from the crowds and relax right on the bank of the Nile. From the moment you enter the Hilton until you depart, you’ll be treated like royalty by the amazing and welcoming staff. A spacious, modern room with a private balcony overlooking the gorgeous infinity pool and the spectacular Nile River awaits your arrival. Plush bedding, a walk-in shower, and all of the amenities you could ever want will make it difficult to get out of bed and leave the resort everyday! 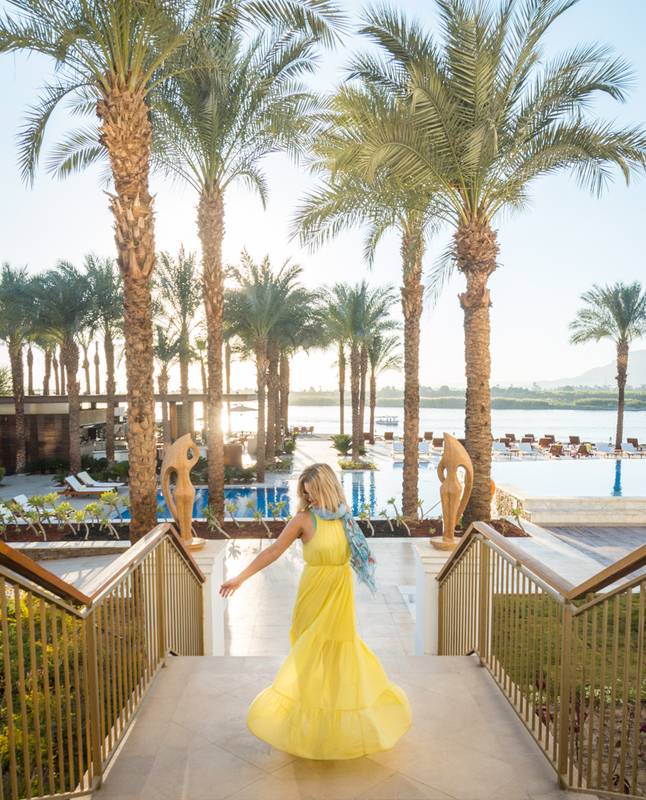 Of course you should get out and explore all that Luxor has to offer but after a few hours you’ll find yourself dreaming of changing into your bathrobe and crawling back into your comfortable bed at the Hilton. 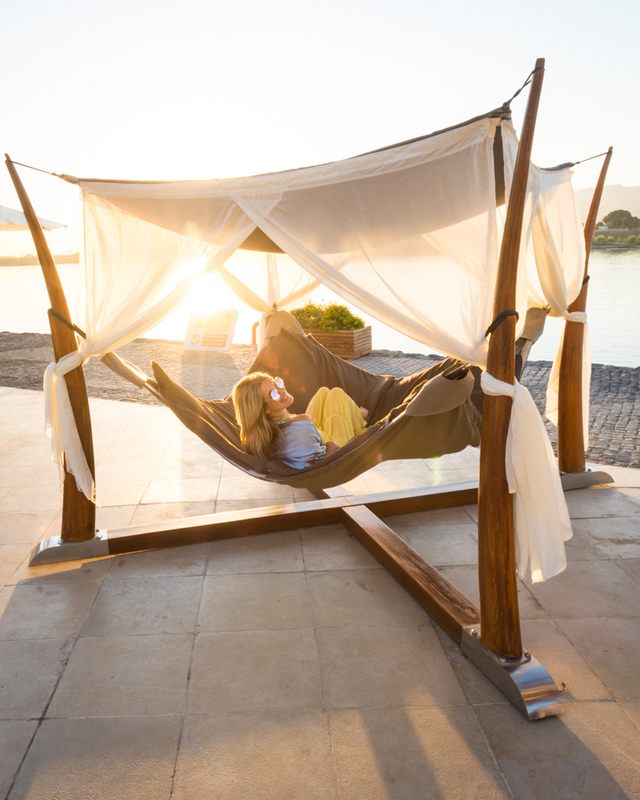 The real jewel of the Hilton Luxor is the spectacular outdoor area right on the bank of the Nile River. Featuring a heated infinity pool, comfortable poolside lounge areas and bars, and riverfront seating – it’s the perfect place to spend a sunny afternoon. Be sure to check out the Sunset Bar & Terrace around sunset and soak in the view of the lush banks across the river while you sip on fruity cocktails. Rosetta All-Day Dining – the exquisite breakfast buffet is served here and you’ll wake up every morning looking forward to the delicious spread awaiting you. You can also get lunch and dinner specials in this casual setting on the water. 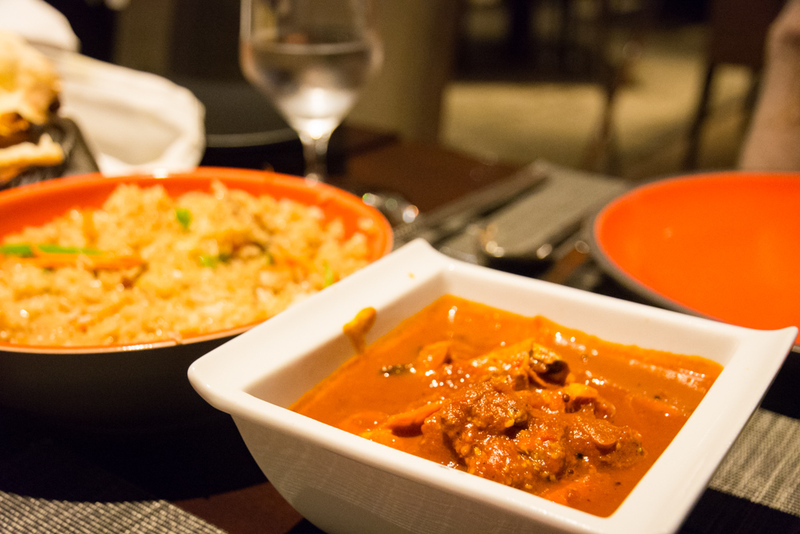 Silk Road – this gorgeous restaurant offers inspired Asian dishes. The red vegetable curry is excellent! But watch out – it’s got some kick! Spend an Afternoon at the Hilton Luxor Spa. Offering relaxing spa treatments in a tranquil atmosphere overlooking views of the Nile, the spa at the Hilton is the ultimate indulgence! Adults can also enjoy the thermal garden, spa courtyard, and peaceful infinity pool. Enjoy Breakfast or Lunch on Felucca. The traditional wooden sailing boats are a popular way to travel on the Nile River and to make your experience even more enjoyable, just add delicious cuisine! Your friendly Hilton staff members can help to coordinate your trip. 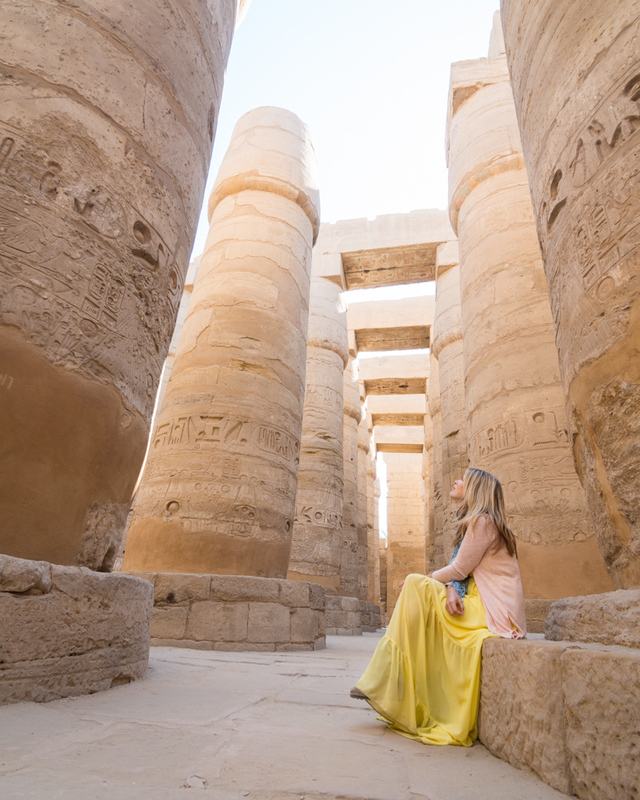 Karnak Temple – a gorgeous and well-preserved temple containing 134 intricately carved columns. Entrance fee: 120 LE/person. Photography is free. Luxor Temple – dating back to 1392 BC, this temple contains relics from 5 different cultures in one place – Roman, Greek, Christian, Islamic, and ancient Egyptian. Entrance fee: 100 LE/person. Photography is free. Valley of the Kings – contains 63 magnificent royal tombs, however there are currently only 8 tombs available for viewing and 2 of those require an additional fee. Of the 6 remaining, you’ll need to choose 3 to visit (unless you purchase 2 entrance tickets). Entrance fee: 160 LE/person to see 3 tombs; photography ticket fee for 3 tombs: 300 LE/camera; 2-way tram ticket: 4 LE/person; King Tut tomb entrance fee: 200 LE/person; Seti 1-Tut tomb entrance fee: 1,000 LE/person. 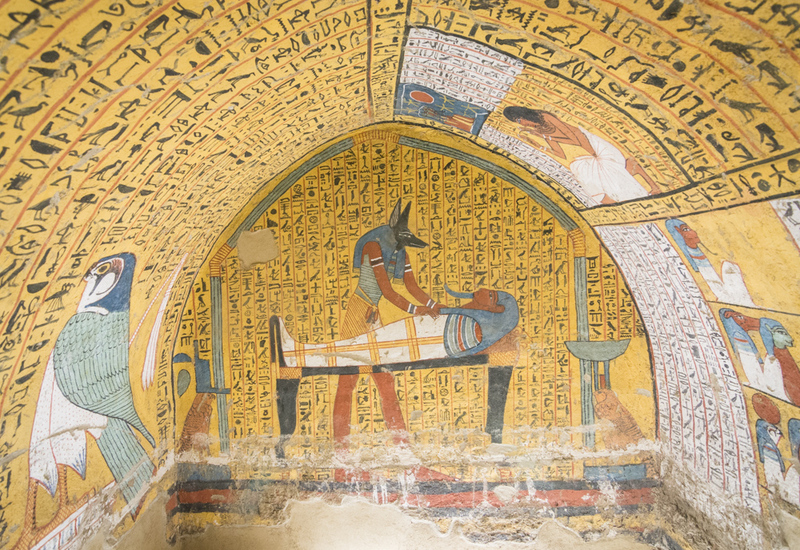 The tombs that have the best preserved colors are the tombs of Rameses IV, Rameses III, and Rameses IX. The tomb of Rameses III is not to be missed! The Saptah and Sety II tombs are less popular with tour groups so you’ll likely have them to yourself (and the guard hoping to earn a baksheesh). Don’t miss the brightly colored eagles painted on the ceilings! Merenptah tomb has the steepest descent to the massive, intact sarcophagus. Don’t miss the well-preserved, colorful carvings near the entrance. Valley of the Queens – you can enter the tombs of 2 different queens which are quite a bit smaller and less elaborate than their male counterparts. If you’d like to see the tomb of Nefertari, the favorite of King Rameses’s 34 wives, you’ll need to pay for an additional ticket for 1,000 LE/person. Entrance fee: 80 LE/person. Valley of the Workers – the Egyptians who created the carvings in the tombs in the Valley of the Kings lived in a village nearby. In their spare time they created colorful tombs for themselves as well. Their tombs are much smaller and the walls are not carved but the colorful paintings are spectacular! Entrance fee: 80 LE/person. Al-Deir Al-Bahari Temple (Temple of Hatshepsut) – originally constructed as a funeral temple for use by King Hatshepsut who is famous for being the only confirmed female pharaoh. Entrance fee: 80 LE/person; 2-way tram ticket: 2 LE/person. 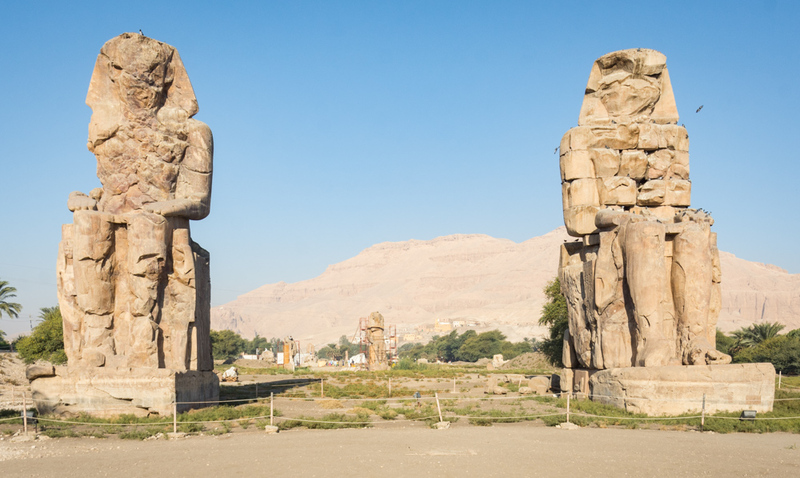 Colossi of Memnon – two large statues that were originally carved from a single piece of limestone. One is intact and original and one has had quite a bit of reconstruction. Entrance: free! The statue on the left is mostly original while the one on the right had it’s torso completely reconstructed. Al-Sahaby Lane Restaurant – conveniently located right inside the souq and offering prime rooftop tables, this spot is a must try when visiting Luxor! Try the mezze plate, the moussaka, and the Egyptian-style pizza. El Hussein Restaurant – just a few blocks from the Hilton Luxor, this restaurant grills up perfectly seasoned meats with a variety of sides to accompany them. Oum Hashim Restaurant – for delicious grilled beef and chicken, Oum Hasim is the best BBQ is the city. Even if you’re not in the mood for grilled meat their moussaka and the bada salad are amazing. Be sure to find the right one – there are two copycats nearby! 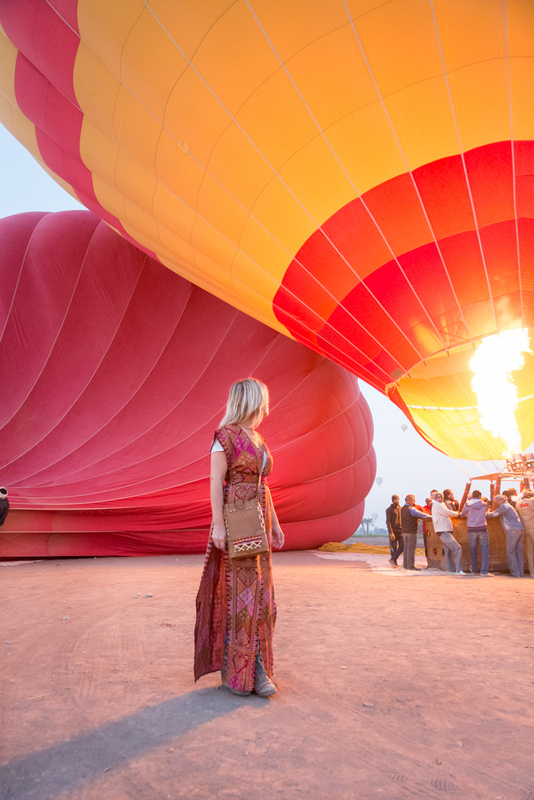 Hot air balloons take to the air every day just before sunrise allowing passengers to watch the sky turning the temples on the banks of the Nile beautiful pastel colors. Magic Horizon Balloons Luxor has an impeccable safety record and friendly, knowledgeable pilots. They will arrange all of the logistics to ensure that you have an unforgettable experience! You’ll be picked up from your hotel around 4:45am, enjoy coffee and a snack onboard the small boat that will take you across the Nile, and then watch as your balloon is inflated. 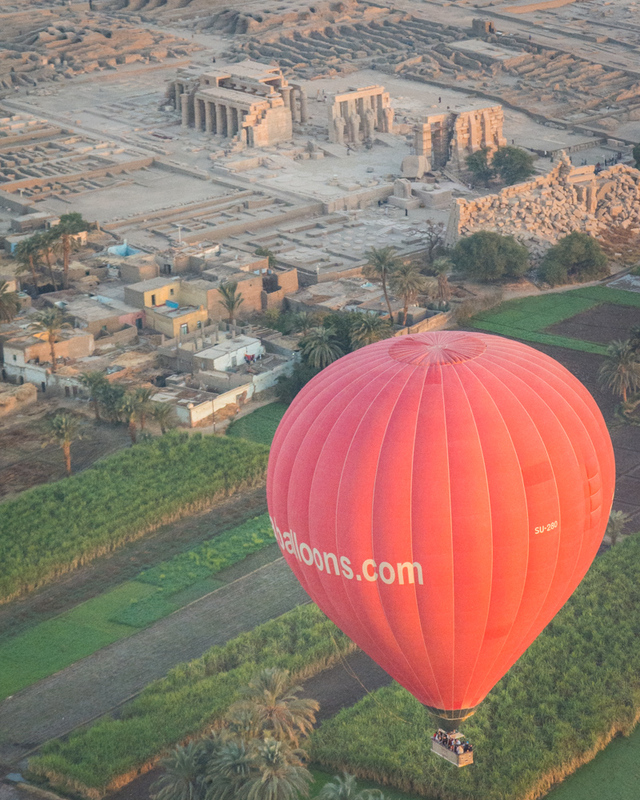 Your pilot will give some general history of Luxor while pointing out temples along the way. The ride will take about 45 minutes to an hour. 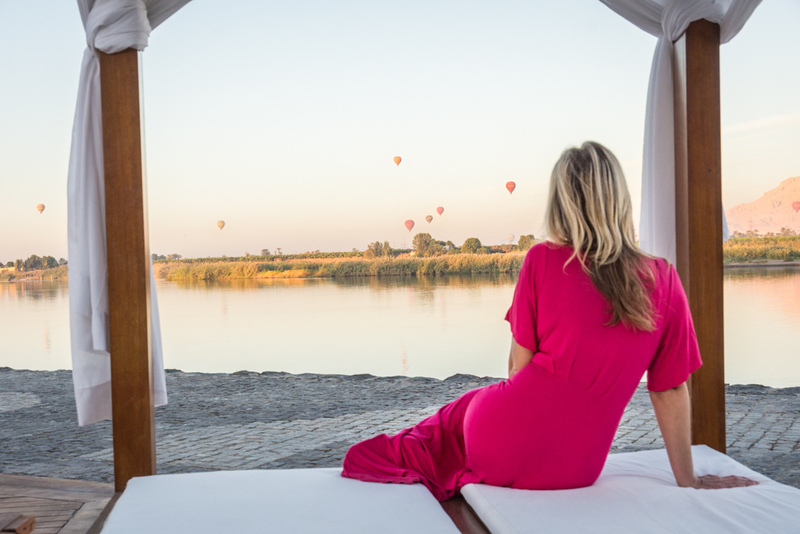 If heights aren’t your thing you can still enjoy the hot air balloons in Luxor – be sure to get up at sunrise to see them from your balcony or the pool area of the Hilton! 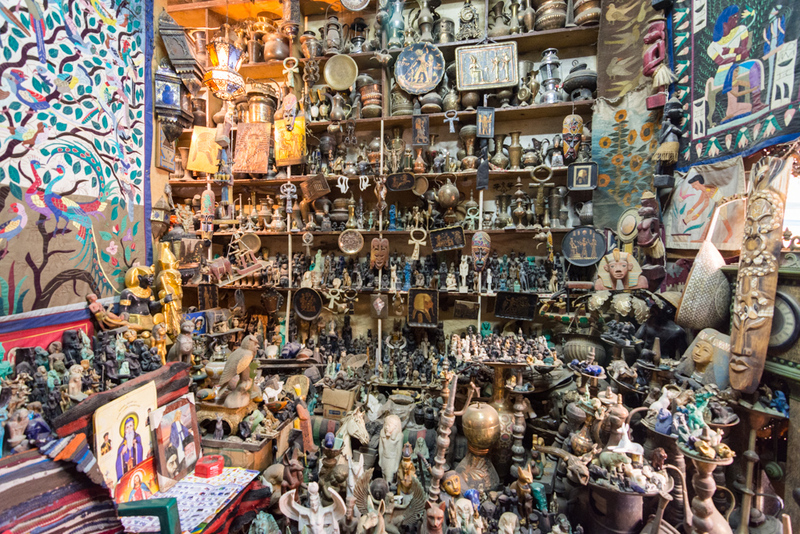 The Old Market Street souq in Luxor is the perfect spot to get that Egyptian souvenir you’ve been eyeing during your Egyptian vacation. Colorful lamps, resin pharaoh statues, alabaster stone vases, and gold jewelry are just a few of the many types of souvenirs you’ll encounter. Haggling is expected so expect to negotiate a price that is about 50% the initial offered price. But keep in mind that you’re only really haggling over a few dollars and they probably need it more than you do. Be sure to check out our favorite shop, Aladdin’s Hule, for a huge selection of antique treasures. Even if you don’t buy, it’s worth a stop to meet the hilarious and eccentric owner. Fill up on the delicious breakfast buffet as you have a long morning of exploring temples ahead of you! Your first stop of the day will be the Valley of the Kings which has been the site of royal burials since around 2100 BC. 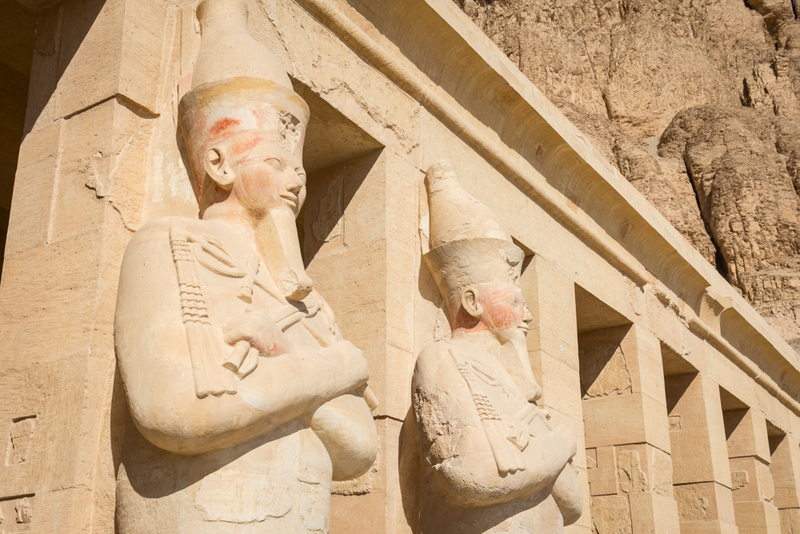 Intriguingly, ancient Egyptian kings would begin the construction of their tombs on the day they were crowned king. Some kings like Rameses III reigned for quite a long time so their tombs are incredibly long and intricately carved and painted. And others, like Rameses IX did not enjoy a long life so their tombs had to be completed in haste (when the king died, the workers had 70 days to complete construction of the tomb as that was the length of time needed for mummification of the body). Your next stop is the Al-Deir Al-Bahari Temple which was constructed by the only confirmed female pharaoh, King (technically queen) Hatshepsut. After the death of her husband who was also her half-brother, she claimed that the gods turned her into a man and was thus able to rule as king. She is depicted as a man in all Egyptian statues and it was only at the discovery of her lover’s tomb in the 1900’s that archaeologists realized she was actually a woman. Unfortunately all of the statues and carvings depicting Hatshepsut in this temple were destroyed by her angry stepson, Thutmose III. The Valley of the Workers and the Valley of the Queens are your final stops for the day. You’ll explore small but brightly painted tombs at the Valley of the Workers and the tombs that were the final resting place for the mummies of the many wives of the pharaohs at the Valley of the Queens. End your day with a shisha at Diwan in the Hilton Luxor while enjoying the sun set over the Nile! Today you’ll be exploring the main temples of the East Bank of Luxor. 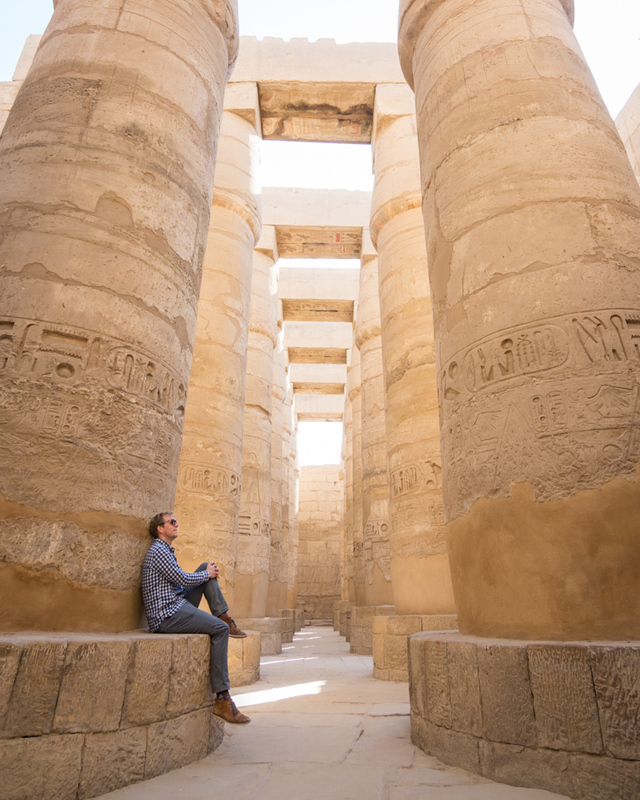 Your first stop will be the Karnak Temple where you’ll wander through 134 well-preserved columns. You’ll see many damaged images of King (Queen) Hatshepsut throughout the temple as she made more than a few offerings here so that the priests would accept her as a pharaoh. Your day of excursions will end at the Luxor Temple where you will find evidence of 5 different cultures in one place – Roman, Greek, Christian, Islamic, and ancient Egyptian. 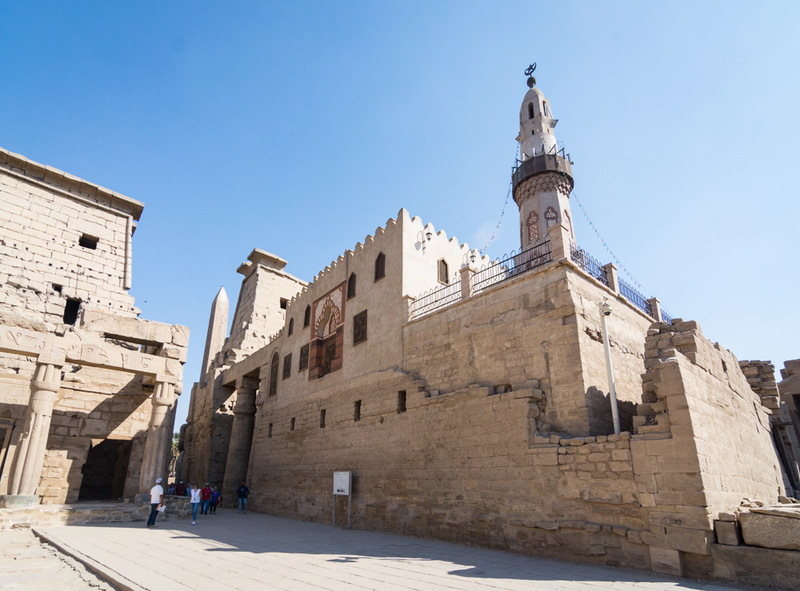 You’ll pass by the oldest mosque in Egypt on your way inside and the groundbreaking of that mosque was actually how the Luxor Temple was discovered – prior to that it had been lost under the city streets for more than 1,000 years! Look at the door that is about 30 feet high on the mosque – that used to be the entrance to the temple! That should give you an idea of how buried this temple really was. 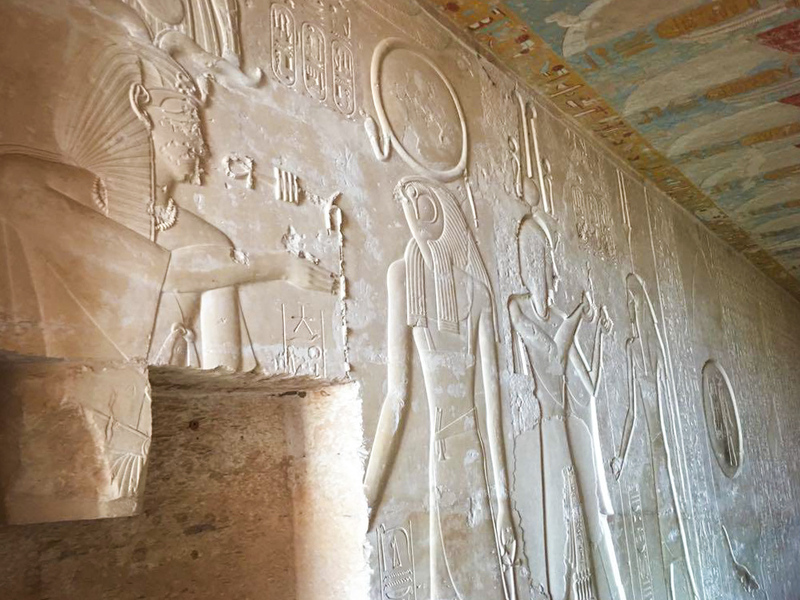 A headless Greek statue and paintings on the walls of the temple where Romans attempted to cover the ancient Egyptian carvings with their own religious figures during their reign reflect the influence of other cultures on Egypt throughout history. Finally, head back to your hotel to treat yourself to a refreshing cocktail while lounging by the pool. It’s been a long 2 days of learning about the ancient history and ruins of this amazing city! Next Post Have Some Fun in the Sun in Hurghada, Egypt! One of the cool things about this region guys is that so much stuff is still being discovered. As you said, the digging continues, even though these ruins span so many years from what seems like eons ago. Love it. Indiana Jones type stuff here which is pretty darn exciting. Seems like every few months a news piece about some big time excavation arises. We’ve always wanted to visit Egypt and Luxor looks right out of my history book from high school. This itinerary is great, just enough time to discover some ancient history, like at the Valley of the Queens, eat delicious mezze, shop at the local markets and relax at the Hilton. Will certainly keep this itinerary in mind. Wow your pictures are amazing! Hilton Luxor seems like a brilliant choice, their hotels are usually very nice and I love the pictures you’ve shared. I would love to visit Karnal Temple and the valley of Kings. Oh and yeah, the hot air balloon ride looks fantastic ! I love your writing style. I definitely agree with the lightweight attire during the summer in Egypt. I was in Cairo several years and lived in maxi dress. How cool is the hot air balloon ride. I did this is Morocco. Egypt has never seemed like a super accessible destination but, after this post, I think I’ve totally misjudged it! What a brilliant mixture of historical significance and modern luxury- who wouldn’t want to bask in that for a bit? Plus, if there’s a chance of me ever getting into a hot air balloon, it might as well happen in such a gorgeous location. 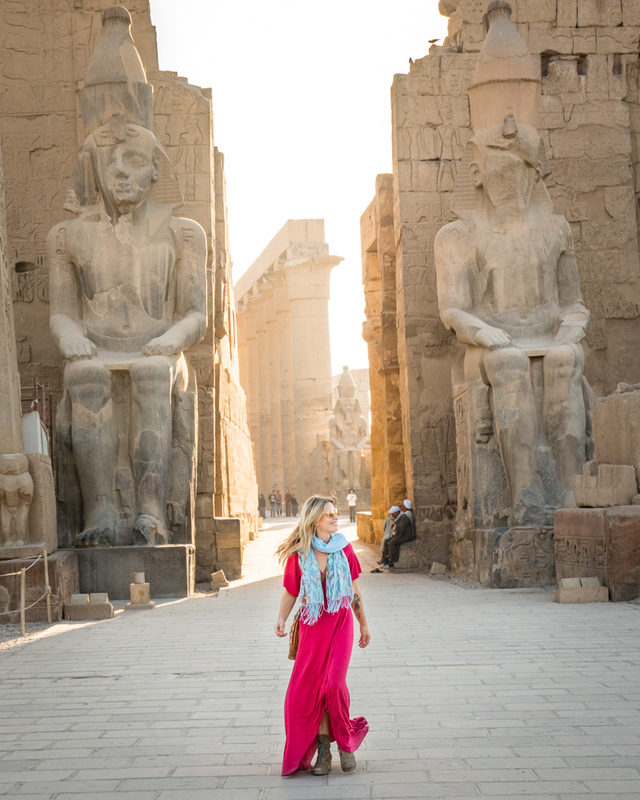 Definitely adding Luxor to my list of must-visit cities! What a fabulous guide! I haven’t been to Luxor yet but will use your guide as a reference. Your photos came out great. I’m a big fan of Hilton hotels. And you’re right, you’re treated amazingly at the international hotels. Egypt has been on my bucket list for as long as I can remember, it really is oozing history at every turn! I would get tired of people asking for tips all the time though – although as you said a little to us means a lot more to them. I think I’d have to visit in the winter, although it’s peak time I couldn’t cope with the summer temperatures! I was in Egypt this time last year, but only was in Cairo. 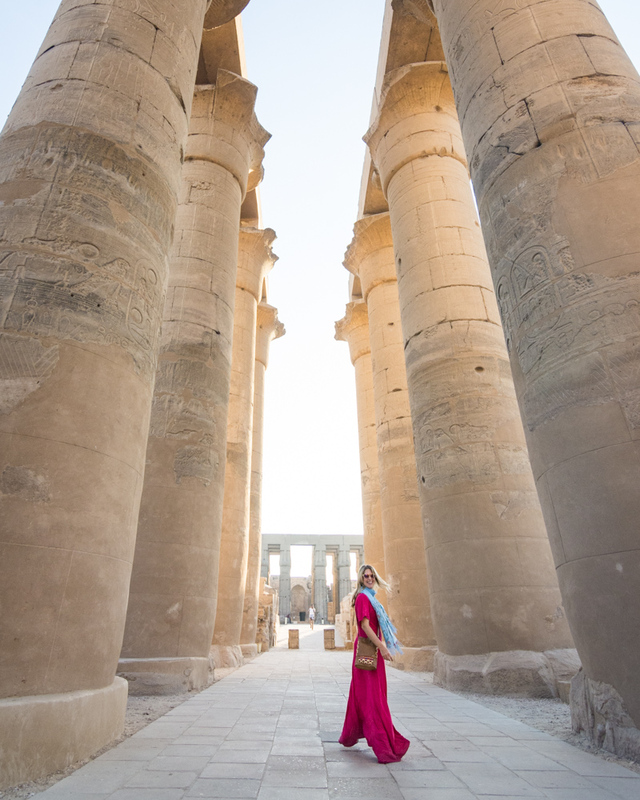 I thoroughly enjoyed Egypt and want to return for more exploring, especially Luxor. Your photos solidify why I need to get there in 2018!